In 2017 I started a movement to eliminate lunch debt for kids across the country. We raised tens of thousands of dollars and eliminated lunch debt for thousands of kids. I co-created LunchDebt.org and we’re still hard at work trying to eliminate lunch shaming and lunch debt for kids across the country. 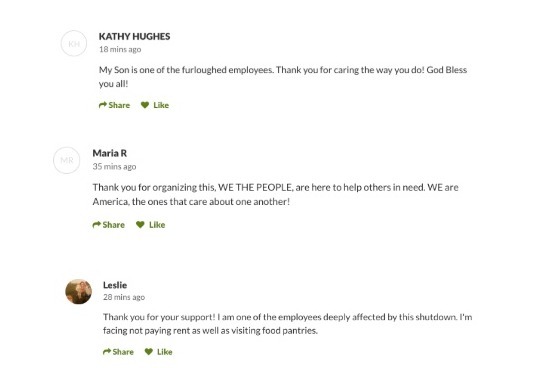 Today I want to start a new movement to to feed furloughed workers. I’m taking action and starting a GoFundMe to raise money for José Andrés and his #ChefsForFeds initiative. Chef José Andrés will open a kitchen on Pennsylvania Ave in Washington DC this week. Andrés has been serving federal workers for decades. “The least I can do is be there for them when they need us,” Andrés said. Thousands of families need our support. This isn’t political. This is about doing the right thing and making a small contribution to help our nation’s civil servants who are currently furloughed or working without pay. They dedicate their career to serve in our government, some protecting our airports, conducting food safety inspections, and other critical government services. We should all take a few minutes and support them during this difficult time. This is putting a lot of stress on too many families and we should all band together and make a small difference. Donate today! All money raised, minus a 2.9% small payment processing fee, will go directly to #ChefsForFeds & World Central Kitchen. You will even receive a tax-deductible receipt for your contribution. Those in Need: Free hot meals and to-go items for federal employees in need and their families. Kitchen and Cafe open 11 AM - 6 PM daily starting on January 16th. I'm humbled and amazed that together, we've raised nearly $75,000 for #ChefsForFeds! THANK YOU! #ChefsForFeds has been working around the clock to provide meals for our civil servants, and it's made a huge difference for them. That's what this is all about. The shutdown may be over for now, but people and families will take time to get back on their feet. This campaign will remain open to continue supporting the efforts of #ChefsForFeds, and I'll continue to update you as thing develop. We initially set a goal of $10,000 to support the furloughed federal workers. In just 48 hours, nearly 1,000 donors joined the #ChefsForFeds movement and contributed over $40,000. I am blown away. This is not about politics. This is about helping our fellow Americans. Thank you #ChefsForFeds, José Andrés, World Central Kitchen. Most importantly, thank you to all of the donors who contributed and left a positive message on this page. Like all of you, I watched to the news and I wanted to act. That’s why I started this fundraiser. And as I read all of your comments, I know all of you just want to help. Your donations are going directly to the World Central Kitchen and I hope your messages of support, kindness, and hope reach the federal workers going through a tough time. I hope this shutdown ends. 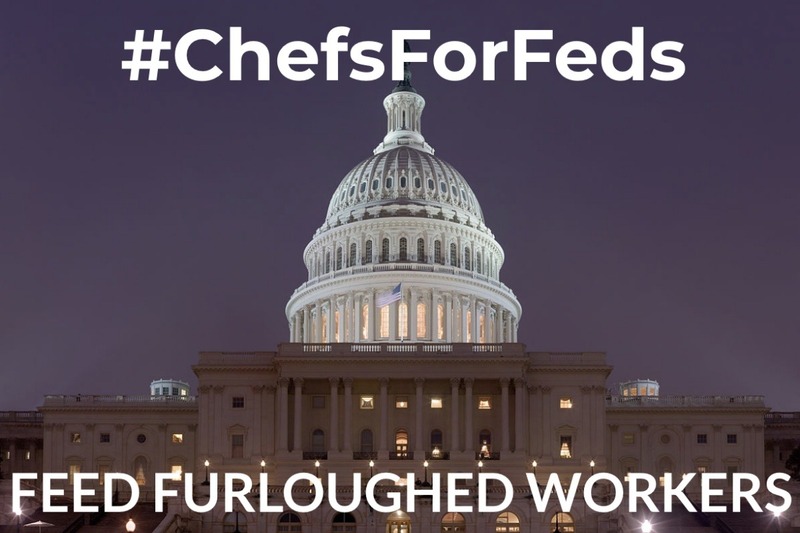 In the meantime, please know that your donation is going to an important cause and the #ChefsForFeds will continue to feed those in need. Please continue to share and show your support. Federal workers need our help!